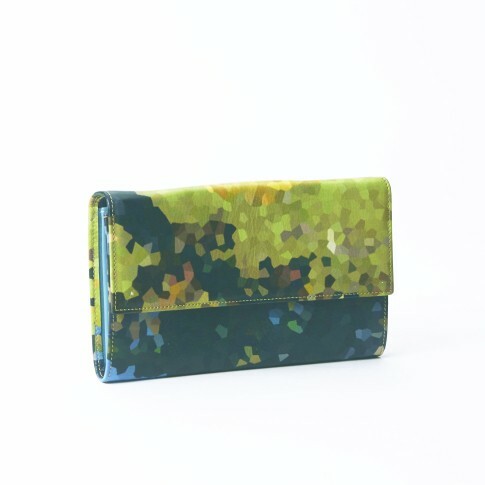 Beautifully finished calfskin leather wallet with a fun print inspired by Van Gogh's The Sower. This well-thought-out design has 5 storage compartments on the inside, one with zipper. Specifically designed for the Van Gogh Museum by Dutch designer Hester van Eeghen. Calfskin leather, made in Italy. Comes in a lovely orange / purple gift box.